TOP ROD TO HANG GARMENT: The top rod of MaidMAX Entryway Hall Tree is designed to hang clothes like coats or other daily garment. Rod Max Load Approx. 6kg/13.2lb. 18 HOOKS TO HOLD SMALL ITEMS: The Hallway Organizer comes with 18 hooks in total (2 Tiers), for holding small items like purse, hats, handbags, towels or other necessities. 3 SHELVES TO STORE SHOES: 3-Tier Shoe Rack provides enough space for your daily shoes like men’s oxfords, loafers, slippers and flip-flops to womenss wedges, heels, botties, sandals, and sneakers. 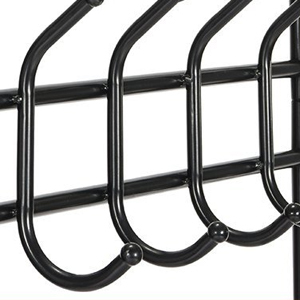 STURDY METAL FRAME: The Hallway Stand is made of premium quality black baking finish metal tubes. 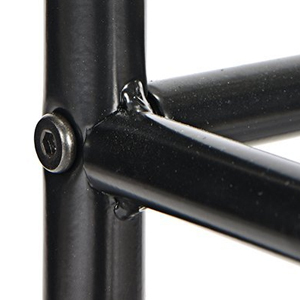 Bottom adjuster feet provide better stability for the whole rack. Product size: 26.7*12.2*74″. 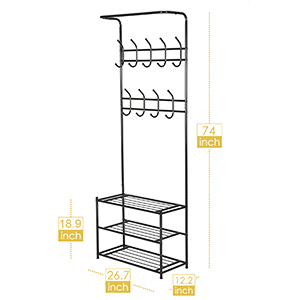 OUR CUSTOMER SATISFACTION MONEY BACK GUARANTEE: If you are not satisfied with the Entryway Shoe Organizer with Coat Rack just return them within 30 days for a full refund. No questions asked, no hassle. 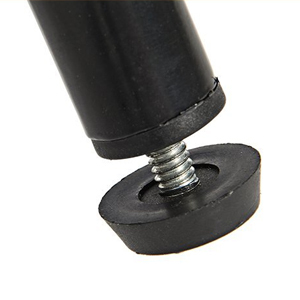 Scroll up to click the Add to Cart button to have your Metal Clothes Stand shipped today. Make entryway well-organized and make you ready to go out all the time. The rod is located at the top of the whole Stand for holding coats, 18 hooks are produced for hanging purses and hats, and the 3-tier racks are for organizing shoes (Also you can put handbags on the top tier of the shoe rack). Place MaidMAX entryway organizer in the entryway/hallway to organize the items and make you ready to go out all the time. 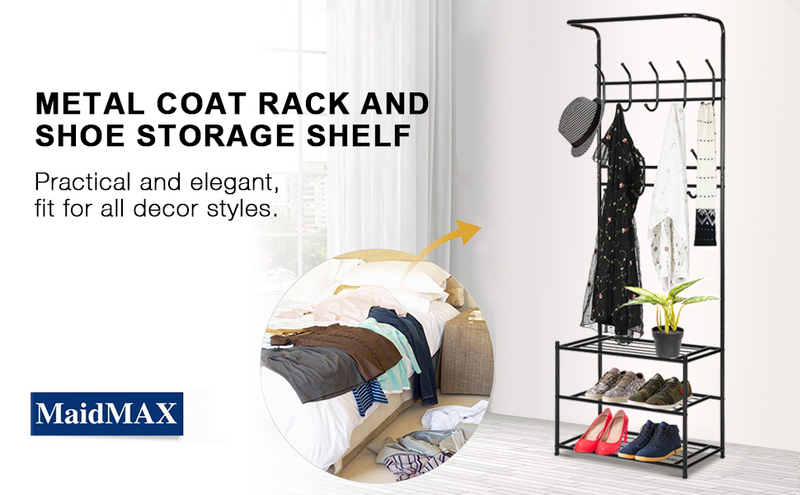 Versatile Shoe Storage Rack for the love of footwear – in pairs. It is said that in a big pile of footwear, pairs of shoes can get split up and lost from each other. You can easily help them stay together with a shoe shelf, giving every pair a little home. And it makes a great home for other things, too, like your gloves, scarves and socks. 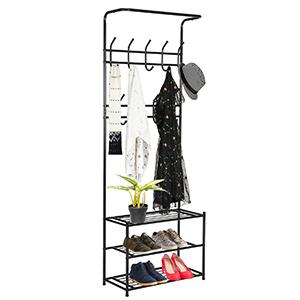 This Clothes Stand and Shoe Rack can also be placed in bedroom, dorm room to store sweaters, jackets, clothes, dresses, shoes, totes, hates, toys and more. Great for expanding hanging space. 1. Please follow the step-by-step assembly instructions. 2. Wipe it with cloth after getting dirty. 3. Avoid throwing and tossing.